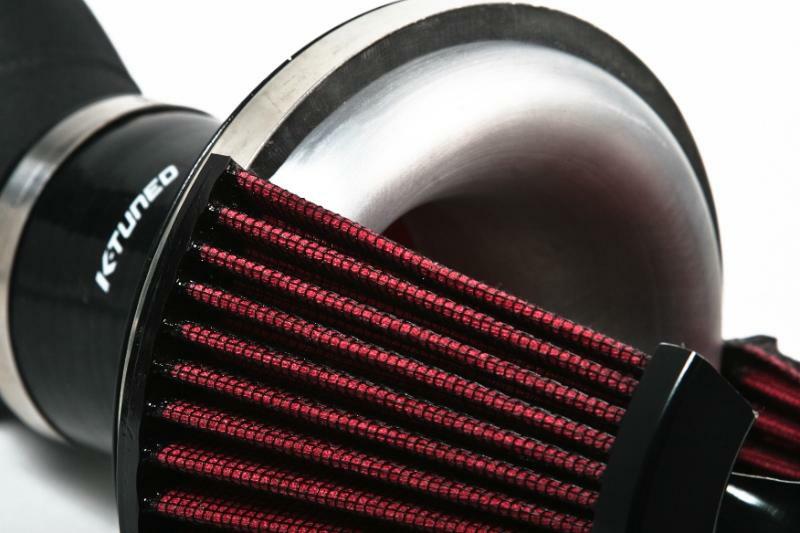 K-Tuned Intake Accessories UNIVERSAL - Pann Auto Performance - San Diego largest aftermarket automotive performance parts - What do you drive? The K-Tuned Velocity Coupler is made from reinforced 4-ply silicone. This unique part completely removes the step commonly found at the throttle body opening, which straightens and accelerates the intake airflow and in turn helps the engine breathe easier. Intake system design and overall airflow into an engine can be critical to making maximum power. The coupler has been engineered to improve an engines volumetric efficiency similar to the way a velocity stack works. Other examples of improving airflow include port matching and tapering throttle bodies. When using a regular silicone intake coupler it always leaves a step at the throttle body opening, which slows airflow and causes turbulence. By installing the K-Tuned coupler, air turbulence is eliminated and the taper will help to increase the intake air velocity. This will fit the most commonly used 3” intakes on the market. One end is custom fitted to the OEM 62.5mm K-series throttle body (cable versions) and the other end matches up to a 3” diameter intake pipe.